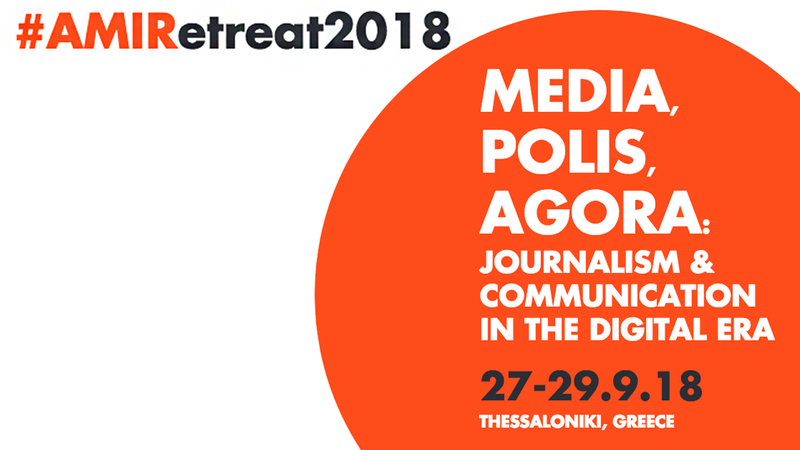 We are pleased to announce the international conference entitled “Media, Polis, Agora: Journalism & Communication in the Digital Era”. The conference is organized by the Advanced Media Institute, the Master’s Program “Communication and New Journalism” of the Open University of Cyprus, the Laboratoire d’ Études et de Recherches Appliquées en Sciences Sociales of L’ Université Toulouse III – Paul Sabatier, and the Secretariat General for Media & Communication of the Hellenic Republic. The conference will take place in Thessaloniki, Greece. Sarah T. Roberts is an Assistant Professor in the Department of Information Studies (Graduate School of Education & Information Studies) at UCLA. She holds a Ph.D. from the iSchool at the University of Illinois at Urbana-Champaign. Prior to joining UCLA, she was an Assistant Professor in the Faculty of Information and Media Studies at Western University in London, Ontario. On the internet since 1993, she was previously an information technology professional for 15 years, and, as such, her research interests focus on information work and workers. She studies the large-scale, industrial and for-pay practice of social media UGC adjudication called “Commercial Content Moderation,” a term she coined, and is frequently consulted by the press (The Guardian; The Washington Post; Le Monde, e.g.) and others on issues related to social media, society and culture. Dr. Roberts was recently elected to the board of IEEE Annals of the History of Computing. Her book on commercial content moderators is forthcoming from Yale University Press. Sharmini Peries is a journalist and executive producer for the National and International News Bureaus at The Real News Network. As co-founder of TRNN, she harnesses the power and expertise of civil society institutions to curate programming for TRNN. Previously, Sharmini was Economic and Trade Adviser to President Hugo Chavez at Miraflores and for the Ministry of Foreign Affairs in Venezuela. Prior to that, she served as the executive director of the following institutions: The Commission on Systemic Racism in the Criminal Justice System, The International Freedom of Expression Exchange, Canadian Journalists for Free Expression, and the Ontario Council of Agencies Serving Immigrants. She also managed the Human Rights Code Review Task Force in Ontario, Canada. Her PhD studies in Social and Political Thought at York University remain incomplete (ABD). She holds an M.A. in Economics from York University in Toronto, Canada. Eugenia Siapera holds a BSc in Social Psychology and an MSc in Media and Communications from the London School of Economics, and a PhD in Social and Political Sciences from the European University Institute. She has had research and teaching positions at the University of Amsterdam (NL), Anglia Ruskin (UK), University of Leicester (UK) and Aristotle University (Greece). She is currently the Deputy Director of the Institute for Future Media and Journalism and the Chair of the MA Social Media Communications. Sofia Iordanidou is an Associate Professor in Journalism and Communication at the Open University of Cyprus (OUC). Since 2011, the MA programme “Communication and new Journalism” has been developed and is being offered at the OUC, under her responsibility. She is the publisher of Dimosiografia (“Journalism”) periodical and website manager at dimosiografia.com. She has worked for many years in the field of Journalism and Strategic Communication. While in New York, she worked for the Voice of America and was the White House correspondent for newspapers in Greece, as well as responsible for the Mondale election campaign. In Athens, she was a journalist for both ERT and MEGA channels. Her extensive experience includes political consultancy and advisory to many companies in corporate communication. She also created the Department of Communication and Press Office for MEGA CHANNEL, where she was Director, and established NETNEWS, S.A., the first television agency in Greece, as well as NETRESULT Ltd., a communication strategy company.